Writing content for your website or e-commerce store requires a lot of hard work. Unfortunately, many content creators undermine their efforts by choosing ineffective headlines that fail to attract readers. Whether you rely on search engines to drive traffic to your site or you use social media platforms to spread content to readers all over the planet, you need to develop smart headlines that will encourage people to give you their time. Before you publish your next article, consider that content creators publish millions of articles each day. How will your content stand out from the pack? Professional writers who work for prestigious magazines often develop half a dozen or more titles before deciding which one they want to use. You probably don't want to devote that much energy to writing your next headline, but you need to know that you face stiff competition from other content creators who take their work seriously. 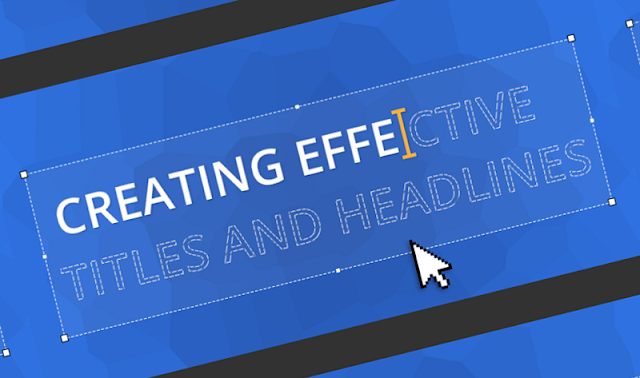 If you don't feel that you have a talent for writing catchy headlines, then you can follow a few tips to make your titles more effective. For instance, you can attract readers by referencing current events or internet memes. After you draft a couple of options, ask yourself whether the headlines are unique, specific, urgent, and useful. If they are, then you probably have good ideas. If not, then you might want to rethink your approach. There aren't any secret tricks to writing great titles for online content. As long as you follow expert advice, you should find that your headlines improve quickly. Take a closer look at this infographic from CopyPress to learn even more tips that will help you write effective headlines. You'll start crafting catchy titles in no time.